If you can’t memorise the entire blackjack strategy chart then it is a good idea to to learn a few tricks when a dealer gets a six to improve your chances of winning. 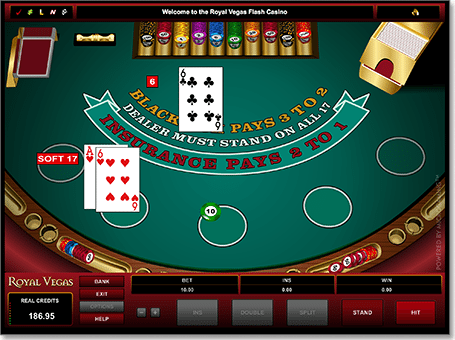 These tricks have been based on the basic blackjack strategy chart which have been tried and tested by real players and perfected via computer precision. While all casino games are based on luck, many table games require strategy and tactics to reduce the house edge and blackjack is one of them. Since there are numerous combinations we have decided to take a look at what to do when the dealer gets a six. There are two versions of the blackjack strategy chart, one being when the dealer stands on a soft 17 and one being when a dealer hits on a soft 17, which means they require different actions. When the dealer has a six, both strategy charts are the same in terms of what to do but there is one exception which you can read about below. When a dealer shows a six they have a 42% chance of busting. While this information is useful you shouldn’t make your move based on this percentage alone. There are many card scenarios which can result in a different recommended action so deciding how to play just on the fact there is a 42% chance of busting isn’t playing the strategy correctly and could actually hinder your performance. We have put together a few scenarios of potential hands and what to do when the dealer gets a six. If the dealer reveals they have a six and you are showing a 10 or a picture card the basic strategy recommends standing. If your second card is a two or three your chances of going bust is 31% and 39% respectively, while a four will see a 56% chance and a five with 58% chance of going bust. Additionally, if you have two picture cards it is recommended not to split these unless they are aces as 20 is a good hand and the only way the dealer can win is if they get 21. Do I hit with a low hand? A low hand is considered anything less than eight on the strategy chart and players are recommended to hit if the dealer is showing a six. If you have two low cards but they amount to more than eight it isn’t considered a low hand. What if I have an Ace and a low card? If one of your cards is an Ace and the other is anything from a two to a seven, hit when the dealer has a six, otherwise stand if it is an eight or above. When the dealer reveals a six it is recommended the player chooses to double down with a nine, 10, or 11. If this is not possible then it is recommended to hit. What if I have a hard hand? A hard hand is one without an Ace, or if it does have an Ace it is valued at one rather than 11. When a dealer reveals a six it is recommended to stand if you have a hard hand of 12 or higher. What about a soft hand? A soft hand is one that has an Ace which has been elected to count as 11. This is the one exception between the two strategy charts when it comes to the dealer having a six. If the dealer stands on a soft 17 and reveals a six, it is recommended to double down on a soft 13 to a soft 18, but stand on 19 or more. If the dealer hits on a soft 17 it is suggested to hit on a soft 13 to a soft 19, but stand on 20. Players are recommended to split when they have pairs of twos, threes, sixes, sevens, eights and nines if the dealer has a six. Eights are especially recommended because not splitting amounts to a hand amounting to 16 and this is considered the worst hand total in blackjack. When the dealer is showing six and you have two fours the strategy chart recommends to split if the game you are playing allows you to double after a split. If it doesn’t the chart suggests to hit instead of splitting. Should I split with two fives? You will find that the pairing of two fives is not on the strategy charts and this is because when you have a value of 10 the best thing you can do is double down. For example, if you choose to split the two fives and then get another two fives you have two hands of 10 as opposed to a hand of 20. Why learn basic strategy in blackjack? When the dealer is showing a six it can be quite appealing to hit no matter what your hand is since they have a 42% chance of busting. However high this may seem, learning the best way to play in terms of your own hand in association to the dealer having a six will mean you are more likely to play better and potentially win in the long run. Since this isn’t the entire strategy chart these tips might just be enough to lower the edge if you don’t have the greatest memory. If you are playing online however, it is possible to have the chart open in another tab so you can easily access it.